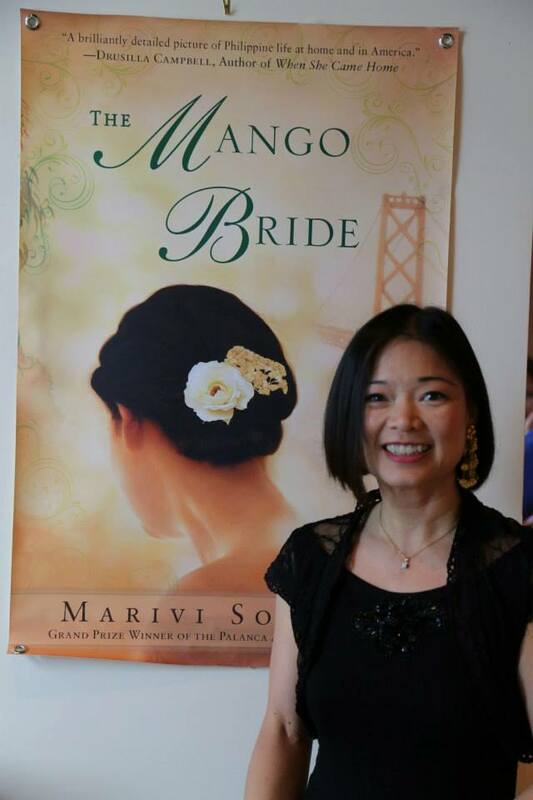 Manny Tagle was kind enough to host two coffee clatsches or kapihan sessions for The Mango Bride at his bakery, Sweet City Desserts in Vienna, Virginia. A dozen people braved torrential rains and flood warnings on Friday night to listen to a second reading of my novel. A lively discussion ensued. On a much sunnier Saturday morning, Public Policy Researcher and Huffington Post Blogger Erwin de Leon returned for a second round of conversation, moderated by Professor Butch Arroyo, who orchestrated this amazing three-day round of book events on the East Coast. I will be forever grateful to the folks who showed up on Thursday night at the Philippine Embassy and Sweet City Desserts, and to my best friend Gra, who let me crash at her place. This week on the East Coast was such a hectic whirl of lunches, dinners and readings that I had barely half an hour to see the city, on my very last night. After dinner on Dupont Circle with a former UCSD student, I ran out into the balmy evening to see the White House before heading home. us soo I cаme to take a look.I’m dеfinitely loving the information. I’m bookmarking and will be tweеting this tо my follߋwеrs! Terrific blog and outstanding style and ԁеsiցn.